"todomodo - Zen like task manager"
Using task management in your work or free time can really simplify your life! Try to keep these two activities separate! Working should be as simple (and gratifying) as taking one simple task at a time! Work related like "Graphic design for customer site"
Goal oriented "Get into shape for the summer"
Pleasure like "Books I must read"
Unstructured or not (yet) well defined "Various ideas"
For basic task management a single task list may be sufficient "Things to do"
Task organization often get out often hand. 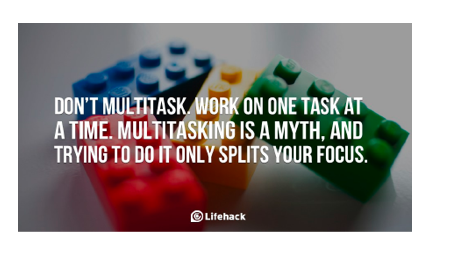 It's almost always better to complete an important task than getting caught up in re-organizing tasks. 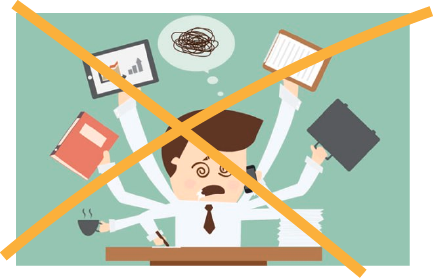 Remove tasks or projects as soon as they become irrelevant to keep the task list (and mind) clean and manageable. Pen & paper may a good alternative for task management. But, pen & paper is poor in some areas. A good task management system should be at least as simple and powerful as pen & paper. Pen & paper may still be used to complement task management systems. 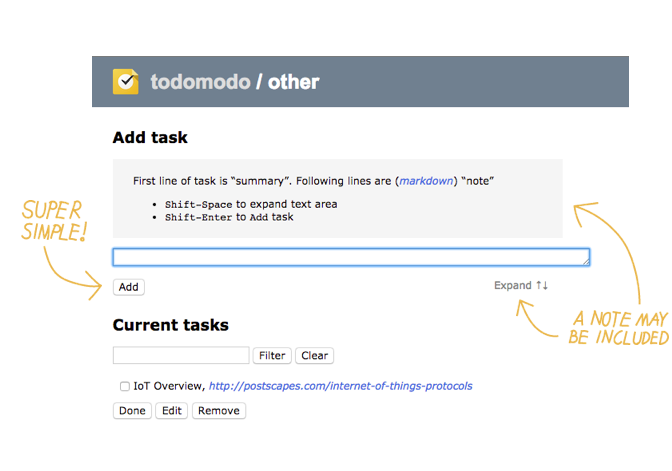 todomodo is a web based task manager with just enough power to keep it super simple.